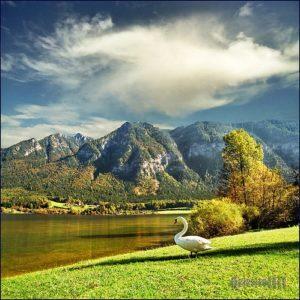 If you’re looking for a travel destination where you can immerse yourself in culture and music while entertaining the kids, take a bike ride or stroll through Salzburg and visit its famous sites. If you didn’t know that “The Sound of Music” was filmed here, now that you’ve told the kids, they won’t let you miss it. Drag them along to a Mozart concert or delight them with a day trip to the salt mines. Be sure to pack a travel first aid kit in your checked luggage, as the kids are sure to scrape a few knees and elbows rolling down the famous hillsides. 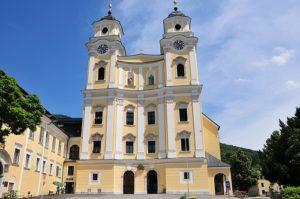 The church where Maria married Captain Von Trapp is in Mondsee, one of the cities in the Lake District. In the Lake District, the bright green hills roll like velvet against the snow-topped Alps. A trip to Salzburg is not complete without a tour of the locations where “The Sound of Music” was filmed. Maria taught the children how to sing in the Mirabell Gardens. What was not filmed in the movie was the dwarf garden; it contains 28 statues of dwarfs hiding amongst the plants and paths. Not far from Salzburg, the alpine slides in the Fuschlsee region offer an exhilarating experience; not for the faint of heart. Hiking in this area involves strolling alongside lush pastures and dairy farms. The kids will enjoy the gnomes path, which is a self-guided hike based on a story about the gnomes’ daily life in the forest. The fairy tale path lures children through the forest with storyboards along the way that narrate a fantastical story. Families can also visit the salt mines in the Bavarian mountains. A long slide takes you underneath the earth into another world where you can float across an underwater lake so salty that it is impossible to sink. Another ethereal site awaits visitors in the ice caves of Eisriesenwelt; the largest ice caves in Europe, these caverns were formed by frozen waterfalls and make you feel suspended in time. The Haus der Natur, the natural history museum, is a treasure trove of discovery for youngsters and adults. 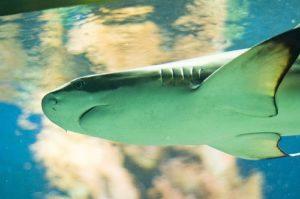 Guests can visit the reptile zoo or the aquarium, where they can witness sharks, piranhas and octopus being fed. Mozart’s life and music is honored in the house-turned-museum where he once lived. The self-guided tour showcases his music, family memorabilia, and other aspects of Mozart’s life. The Cathedral Museum, located in the Salzburg Cathedral, is a collection of unique artefacts that represent centuries of time. After touring the city, you may just want to relax. During the winter, a sleigh ride in the countryside surrounding Salzburg will allow you and your family to enjoy the sights without lifting a finger. 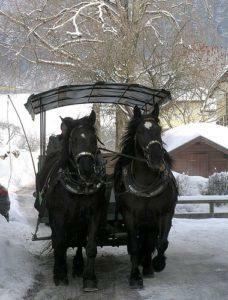 Private horse-drawn sleighs pull you through the forest as you snuggle under cozy blankets. The Paracelsus Bad & Kurhaus, Salzburg’s public indoor swimming pool, has a climbing wall rising from the pool so climbers can fall back into the water if they lose their balance. For those looking for a calmer swimming experience, the thermal pools in nearby Berchtesgaden are not far outside the city. When planning a busy trip with the entire family, it is important to be prepared for any type of emergency. Traveling with any prescription medications necessary or aspirins, Tylenols and antihistamines is always a good idea. A supply of antibiotic ointment and bandages will come in handy if your child trips and falls during a hike. Knowing how to take care of small injuries can keep them from becoming more serious disasters. When families travel with necessary supplies, small setbacks don’t get in the way of learning about the local culture, taking in amazing sights, and visiting popular tourist destinations. 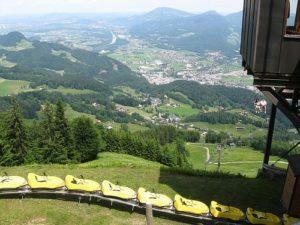 Michele Allen has always loved the Alpine countries and made the trip with her children to Salzburg recently. Michele teaches nursing in the U.S. and writes on various health topics.